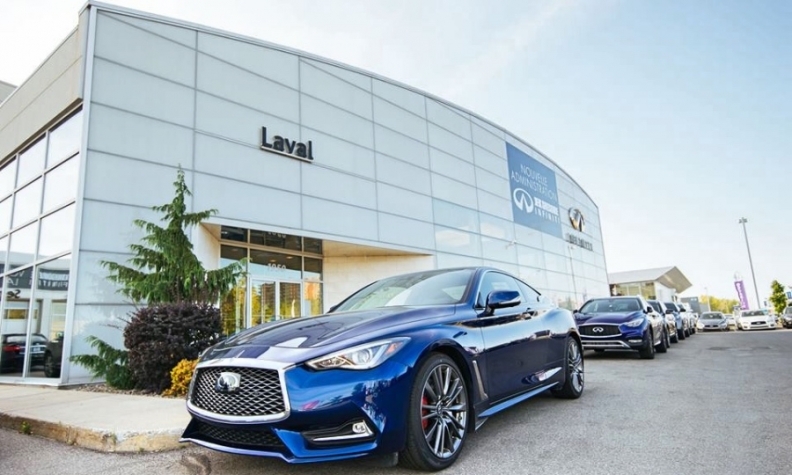 Dealer group HGregoire continues to expand in Quebec, with the opening of HGregoire Infiniti Laval officially marking its first foray into the burgeoning Canadian luxury car market. HGrégoire invested nearly $ 23 million in the acquisition of the existing dealership, founded by brothers Louis-Carl and Christian Dagenais in 2009. It becomes the seventh major HGrégoire dealership in Quebec. In addition to new-vehicle dealerships in Quebec, HGrégoire has 10 mega-centres of used vehicles and, in Florida, a used vehicle centre in Doral, as well as HGreg Lux, an exotic and prestige vehicle business inaugurated in Pompano Beach. “HGregoire and Infiniti are laying the foundation to significantly expand our position in the luxury segment,” Managing Director of Infiniti Canada Adam Paterson said. Luxury sales continue to surge in Canada, where 18 of 19 luxury brands — from Bentley to Cadillac to Infiniti and more — have posted sales increases in the first nine months of 2017.